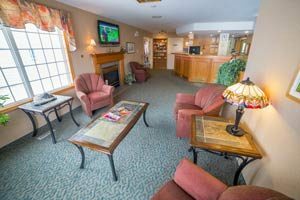 Woodland Inn located in Meadow Lake is within minutes of Meadow Lake Golf Club, Meadow Lake and Meadow Lake Museum. With all of our amenities, including our fitness center, you’ll be sure to find an attraction that you’ll enjoy doing. Since 1992 we’ve been serving tourists with clean and quiet accommodations. We are family owned and operated offering excellent customer service with our friendly and helpful staff. Our front desk is open 24 hours a day to ensure you will be taken care of during every minute of your stay. Owners Anthony and Michelle Vandenberg want to welcome you to stay at Woodland Inn. We are confident you will enjoy your stay. Reserve your room today!